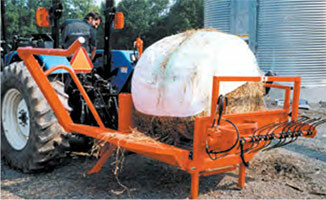 Need to convert round bales into small square bales? With the speed and convenience that round bales can be made, many farmers are using round bales to get the hay off the field. Later, when time permits, they are turning the round bales into square bales. The increased demand for small square bales has been created by the market growth of retail hay for the horse trade. 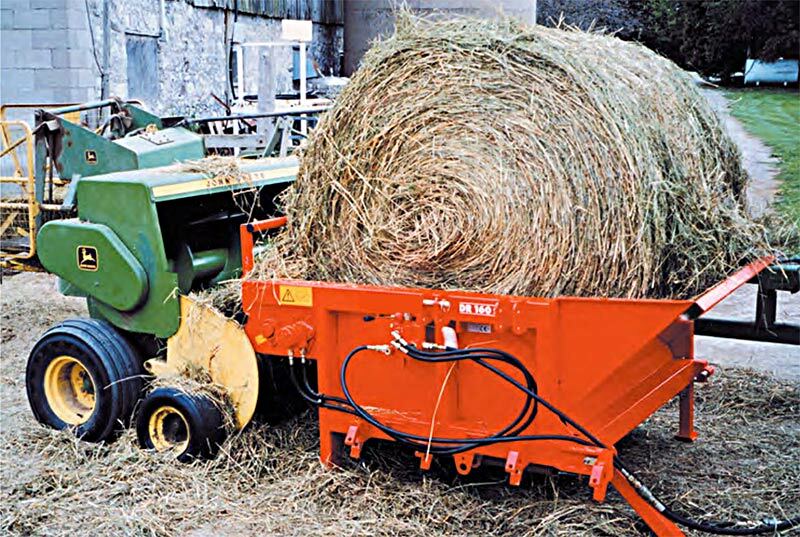 The DR160S Altec / Seven Bale Unwinder is your most valuable tool in that conversion. UNWINDS LARGE ROUND BALES, MAX. 5′W X 6′H (1.2 X 1.8M) 2200 LBS TO FEED SMALL SQUARE BALER. 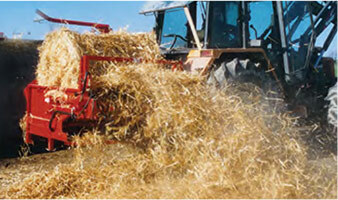 The round Altec / Seven Bale unwinder sits in front of the square baler and is operated hydraulically from the tractor. 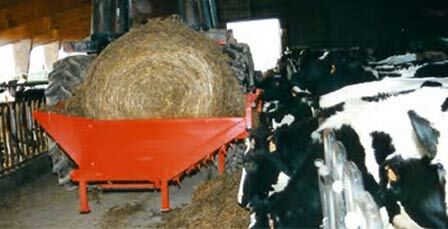 Self-adjustable bottom keeps the bale at the right height as the round bale feeds into the square baler. 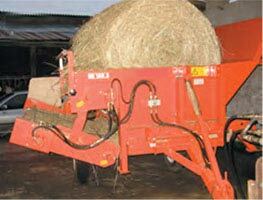 The drive chains on the unwinder change according to the actual weight of the bale as it unwinds. A valve on the side of the bale unwinder controls the speed with a forward and reverse switch on the same side. Hay originally baled as round bales will often keep ‘fresher’ than small square bales. By re-baling hay as needed into small square bales, the bales are often better quality hay. Cat. II 3-point hitch with offset mount for moving the machine or for use as right-hand side discharge for standard bale unwinding. Right-hand or optional rear discharge. Left-hand discharge on Telehandler. Hydraulic drive – no PTO! All unwinders are fitted with a self-adjustable bottom. The chain tension changes according to the actual weight of the bale as it unwinds. 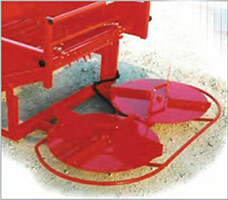 Can be used to unwind hay and silage bales to feed livestock or spread straw for bedding. Handles bales up to 2200 lbs. 60″ model available. FOR UNWINDING 4′ X 8′ SQUARE BALES WE OFFER THE SEVEN DT120 UNWINDER. Lateral Rotary Spreader, shoots straw 22′ out from machine. 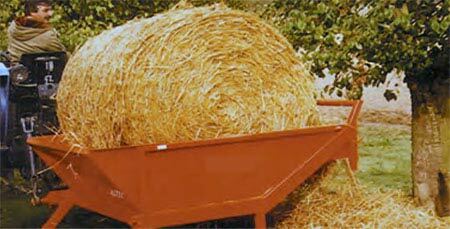 Twin Axial Spreader, spreads straw in a 22′ wide swath. Conveyor Belt for bunker feeding. The DR160S – LRSQ can also be used to unwind mulch bales for orchard and field use.